I love Andrew Murray as an author. He always writes books from a very devotional point of intimacy with the Lord. 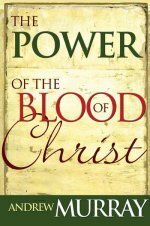 His book, Power of the Blood of Christ is truly a must have for your library of faith. Once we as the church discover the very power and promise of Jesus' blood and the sacrifice he made in our place - then there is no unsettled claim that the devil could ever use against us!